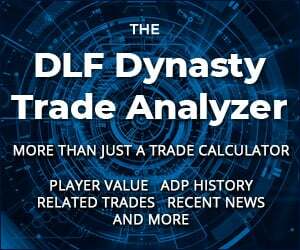 The DLF 2018 Rookie Draft Guide is now available! Our annual dynasty rookie draft guide is back and here to help you prepare for your rookie dynasty drafts. Constantly updated, always improving, with numerous links to internal and external resources. The DLF 2018 Rookie Draft Guide is the best resource for all you need to become the most knowledgeable coach in every rookie or startup draft. In addition to providing our own pre-draft and post-draft rookie player analysis, the DLF Rookie Draft Guide links to free resources from other select sites to help you research and prepare for your drafts. We know there are other worthy sites providing complementary analysis on the 2018 NFL Rookie class. We make finding that free information easy by collecting those quality resources into one convenient location. Collecting all of these resources into one convenient location will make researching the 2018 rookie draft class easier than ever. Best of all, the 2018 Rookie Draft Guide is FREE with your DLF Premium Membership! No misleading hidden fees or extra charges. It’s all part of the Premium Membership package. Follow the links to our full Rookie Player Profile articles before the draft and the follow up Rookie Player Draft Recaps after the draft. Full, in-depth analysis of every draft-worthy player. Links to the full Rookie Player Profiles and Rookie Draft Recap articles will be added as they are written, so keep checking back for continuing and evolving coverage of the 2018 NFL rookie class. Our number one goal is, and always has been, to give you the tools and information you need to be more informed and better prepared than everyone else in your dynasty fantasy football leagues. We’ve been focusing exclusively on dynasty longer than anyone else in the industry. We know what it takes to give you the best chance to win your dynasty league, and we work relentlessly to give you every possible edge. The 2018 Rookie Draft Guide is the result of many hours of work by numerous veteran team members, and is of course a premium resource. 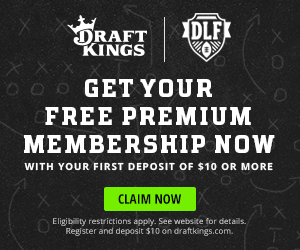 You’ll need a DLF Premium Membership to access the 2018 Rookie Draft Guide, but that will give you full access to the Rookie Draft Guide and everything else DLF has to offer. No hidden charges or extra fees for this service or that podcast. One membership grants you access to everything! We never stop working to help you improve and win, with articles every day, constantly updated rankings, industry-leading ADP, new and useful tools like the Trade Finder and ADP Comparison Tool, and much more. Get the DLF Premium advantage today, and be the most prepared coach in your league. Go to the 2018 DLF Rookie Draft Guide!